There are plenty of excellent articles and even research papers on succession planning designed to help nonprofits and boards of directors, but despite the availability of rich resources, transitions of leadership continue to be among the most challenging events in the lifecycle of a charitable nonprofit. The elusiveness of smooth and successful transitions is an entrenched problem that requires every nonprofit leader – board and staff - to seize responsibility for transitions as if on a personal quest. Succession planning and leadership transitions are hard – and for some – scary, so we avoid the issue. Nevertheless, let’s think about how to turn leadership transitions into something that boards of directors can more realistically control, and are eager to address. Applying the power of positive thinking, what if we approached each leadership transition as a “powerful moment in a nonprofit’s life that can be used to advance mission capacity…”? These wise words and many other useful insights are shared in The Evolution of Executive Transition and Allied Practices, authored by Tom Adams (formerly President of TransitionGuides, now a director at Raffa, Inc.), which is a free and insightful resource that hasn’t received as much attention as it deserves. 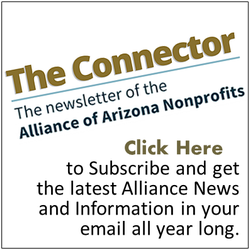 Information received via National Council of Nonprofits' Nonprofit Knowledge Matters newsletter June 7, 2017.